Iranian President Hassan Rouhani says Saudi Arabia will not be able to distract from its "great crime" of killing a religious leader by severing its ties with the Islamic Republic. Referring to the Saturday execution by Saudi Arabia of prominent Shia cleric Sheikh Nimr al-Nimr, President Rouhani said on Tuesday, "It is only natural that a crime against Islamic and human rights will be met with reaction from public opinion." 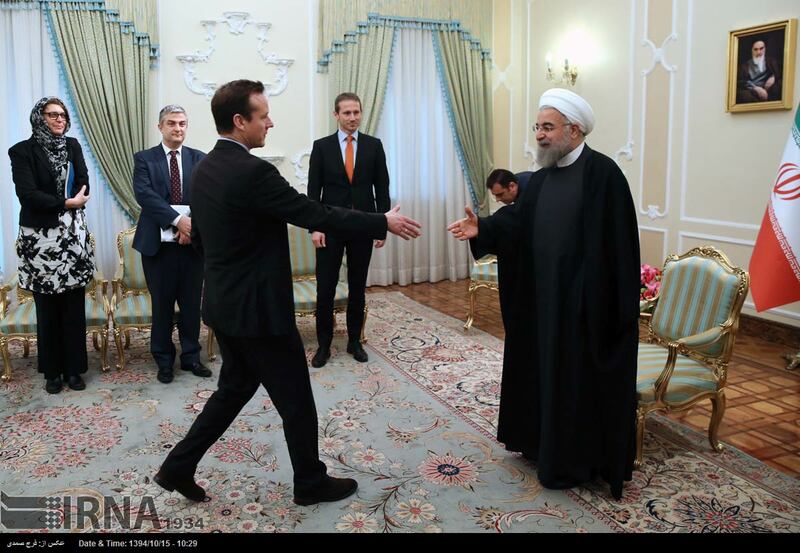 Iranian President Hassan Rouhani (R) meets with Danish Foreign Minister Kristian Jensen in the Iranian capital, Tehran, January 5, 2016. "Of course, the Saudi government, in order to cover up its crime of beheading a religious leader has resorted to a strange measure and has severed its ties with the Islamic Republic, whereas, undoubtedly, such moves will never hide that great crime," said the Iranian president, who was speaking during a meeting with Danish Foreign Minister Kristian Jensen in Tehran. Saudi Arabia faced strong condemnation from Iran, as well as other countries, soon after the execution of Sheikh Nimr, who was a vocal critic of the Riyadh regime. "Criticism should not be responded to with beheading," President Rouhani said, adding, "We hope that European countries, which always react to issues of human rights, would act on their human rights-related obligations in this case, too." 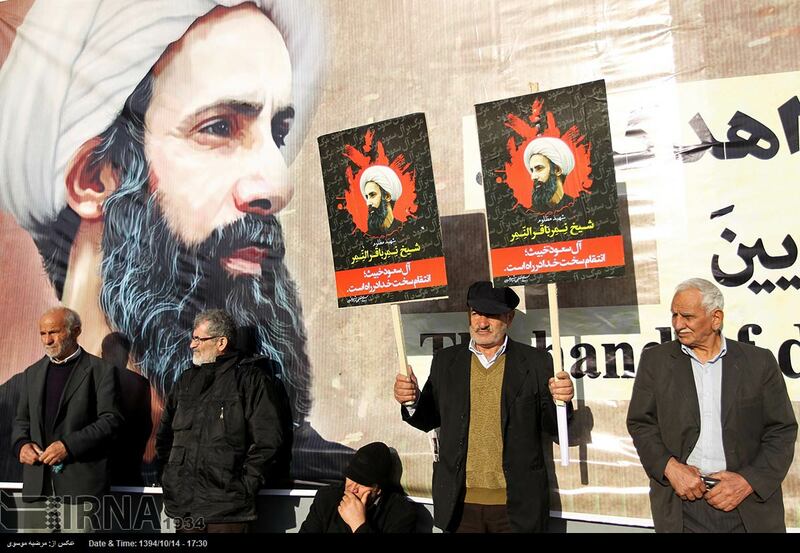 Demonstrations were held in the Iranian capital and other Iranian cities to condemn the killing of Sheikh Nimr. Demonstrations were held, among other places, in front of the Saudi embassy in Tehran and its consulate in the northeastern city of Mashhad by protesters censuring Saudi Arabia. Amid the largely peaceful protests, a group of people scaled the walls of the consulate in Mashhad while incendiary devices were hurled at the embassy in Tehran. Some 50 people were detained over the violation of the diplomatic perimeters. On Sunday, Saudi Foreign Minister Adel al-Jubeir announced his country was cutting diplomatic relations with Iran. Recounting Copenhagen's reaction to Saudi Arabia's execution, Jensen told President Rouhani that Denmark was the first country to condemn the killing of Nimr. The UN Security Council has called on Saudi Arabia and Iran to avoid actions that could exacerbate tensions in the region after the kingdom's execution of prominent cleric Sheikh Nimr al-Nimr. In a statement on Monday, the 15-member council urged the two sides to "maintain dialogue and take steps to reduce tensions in the region." Iranians hold a protest rally against the Saudi execution of Sheikh Nimr al-Nimr in Tehran, January 4, 2016. The council made no mention of the Saudi execution of prominent Shia cleric Sheikh Nimr al-Nimr in Saudi Arabia, which has triggered angry protests in Iran and elsewhere across the world. The statement, instead, censured assaults on two Saudi missions in Iran during angry protests which broke out following sudden execution of Sheikh Nimr. The Security Council called on Iran "to protect diplomatic and consular property and personnel." Iranian officials have said some 50 people were detained over the incidents outside the Saudi embassy in Tehran and its consulate in Mashhad. President Hassan Rouhani denounced the assaults and pledged to deal firmly with "unruly" elements. Saudi Arabia used the incidents to attack Iran and on Sunday, Foreign Minister Adel al-Jubeir said the kingdom was severing all diplomatic relations with Iran. Iran has said Saudi rulers were trying to divert attention from the Nimr execution fallout and other domestic problems. On Monday, Iranian Foreign Ministry Spokesman Hossein Jaberi Ansari said the decision to cut relations showed the kingdom's "survival hinges on stoking tensions." UN Secretary General Ban Ki-moon said "the announcement of a break in Saudi diplomatic relations with Tehran was deeply worrying."